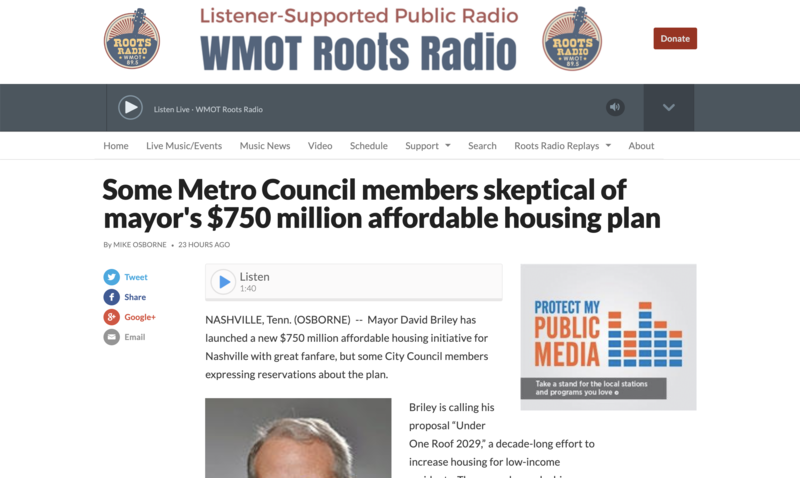 Mayor David Briley has launched a new $750 million affordable housing initiative for Nashville with great fanfare, but some City Council members expressing reservations about the plan. Metro Councilman at Large John Cooper is skeptical, calling Briley’s initiative a feel good effort with few specific details. Cooper has especially strong reservations about private sector buy in.